Hallelujah! $30 Thursday is here! Especially when the silhouette happens to belong to my sweetbabygirl. I love how this rustic piece of silhouette art came together! Let’s just jump on into the tutorial, shall we? 1. I found this large, ornate frame at a garage sale for $3. I knew I wanted to make something extra special with it! 2. I removed old nails and separated the frame from the glass. 3. I took this picture of Miss L. watching Curious George to get the perfect silhouette shot. 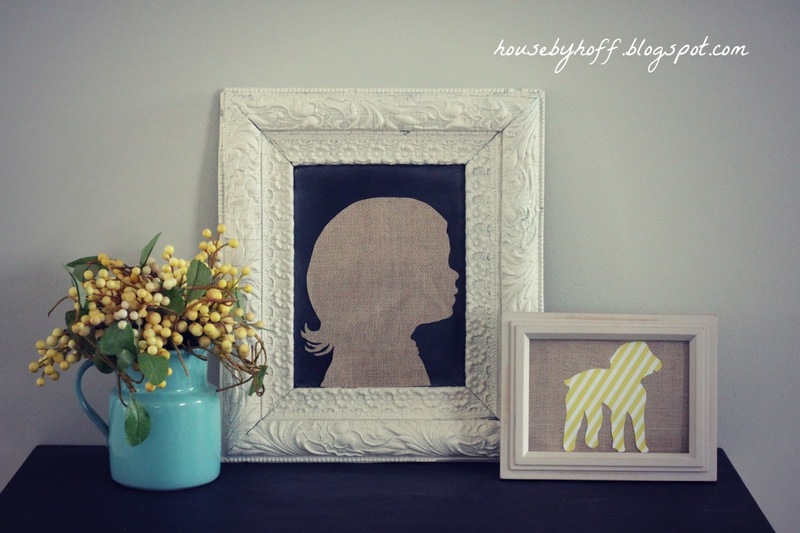 Please see my complete tutorial for how to make a silhouette. 4. I spray painted the frame and glass separately, then reassembled them. 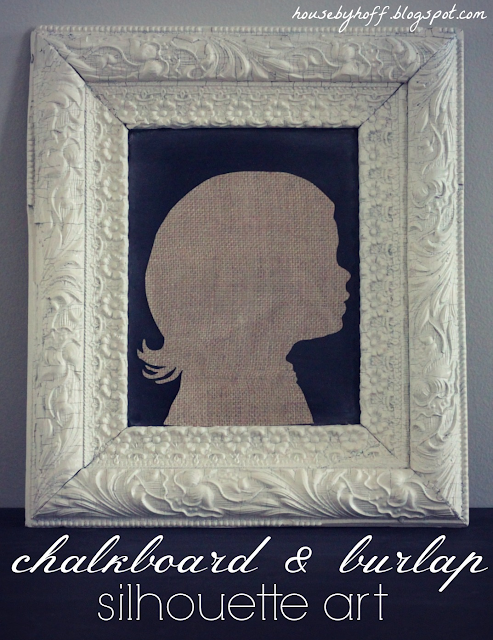 I used double-sided tape to place my paper “burlap” silhouette where I wanted it. (Burlap paper found at JoAnn.) 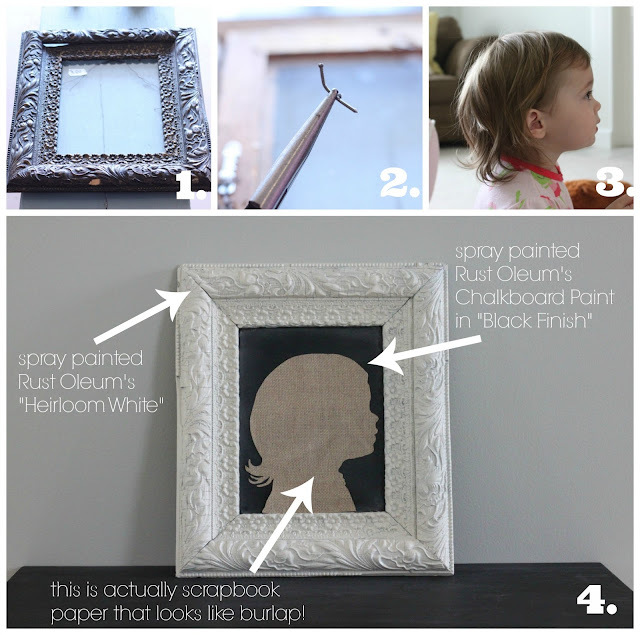 I love that I can remove the silhouette and use this for a chalkboard if I want! There! A silhouette of each of the “kids”. Let’s see what Jen and Shayna have cranked out this month! 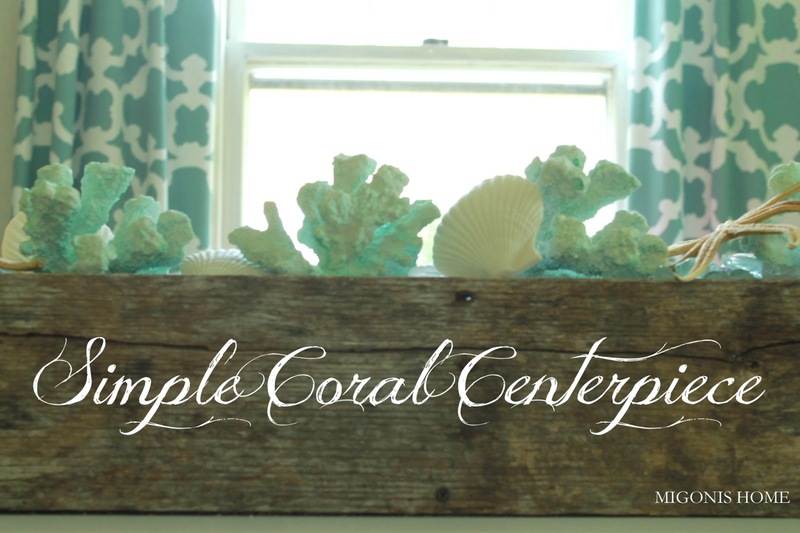 Jen put together this simple coral centerpiece! Love it! 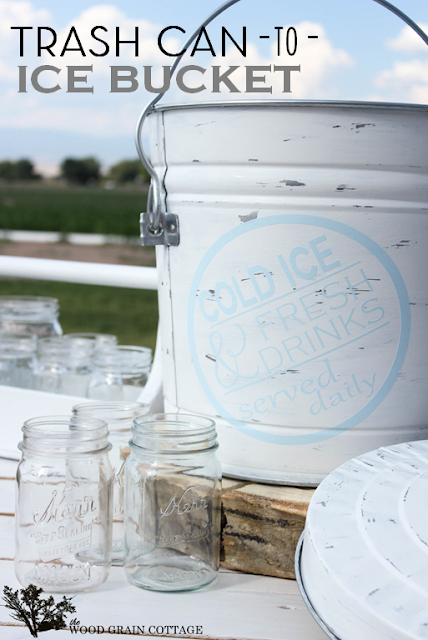 The always creative Shayna transformed this trash can into an ice bucket! It seriously looks like she bought it in a store, doesn’t it?! Follow our $30 Thursday Pinterest Board, if you don’t already! I’m linking up at: Tatertots & Jello, Give Me the Goods! Oh my gosh what a perfect way to capture that little sweet profile! I LOVE IT! and must make onethisabsoluteverysecond! Your newest follower! I sure hope you will come over and follow me too!